Parquet flooring is immediately recognisable with its distinctive geometric patterns and shapes. Blocks of flooring (rather than planks), were a very popular choice of flooring for wealthy homeowners in the early 1900s. It has now become more affordable and increasingly popular with anyone who wants a slightly different style of flooring. 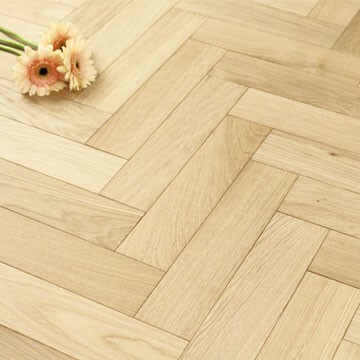 The most common pattern to lay parquet block flooring is ‘Herringbone’ but ‘Brick bond’ and ‘Basket Weave’ patterns can also be achieved. Parquet is the style of flooring and comes in various plank sizes. Pre-finished and unfinished planks are available with the latter allowing you to create bespoke colours and surface finishes. Why should I choose engineered parquet flooring? Parquet block flooring is both elegant and luxurious and transforms any space, from a rustic cottage to a modern apartment. 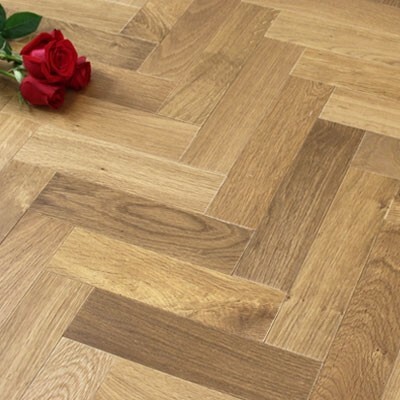 If you want your flooring to make a bold statement, parquet block will certainly add personality to any room. Parquet blocks are very versatile and can be laid in a variety of patterns depending on your personal preference. Our engineered parquet block flooring is also compatible with underfloor heating to offer more versatility to this charismatic flooring. If you are still unsure of which style of flooring to choose, have a look at our Wood Flooring Guide, which offers more information on the structure, profile and finish of our hardwood floors. 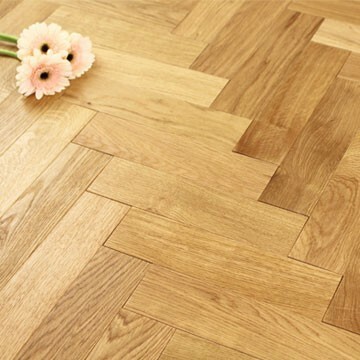 You may also want to have a look at our article: What is parquet block flooring? Yes, we do sell matching flooring accessories that can help you to add the finishing touches to any of our floors. Expansion gaps will be left around the edge of the room or around pipes once the flooring has been installed. We stock a range of accessories to cover these gaps including floor beading, skirting, pipe covers and door bars. We also stock an extensive range of cleaning products which have been specifically designed for use on hardwood floors. Have a look at our Wood Floor Maintenance and Care Guide for some tips on keeping your new floor looking fresh and new. Yes, If you are still unsure then we also stock a vast range plank flooring including engineered hardwood, solid hardwood and laminate flooring. Our free samples allow you to enjoy the look and feel of our floors at home. For technical advice please contact us by phone or email, alternatively visit our Leicester showroom.